Bravotv.com celebrated the holiday by highlighting the 8 Best Places in the World to Travel If You Love Coffee. Among them was Costa Rica. 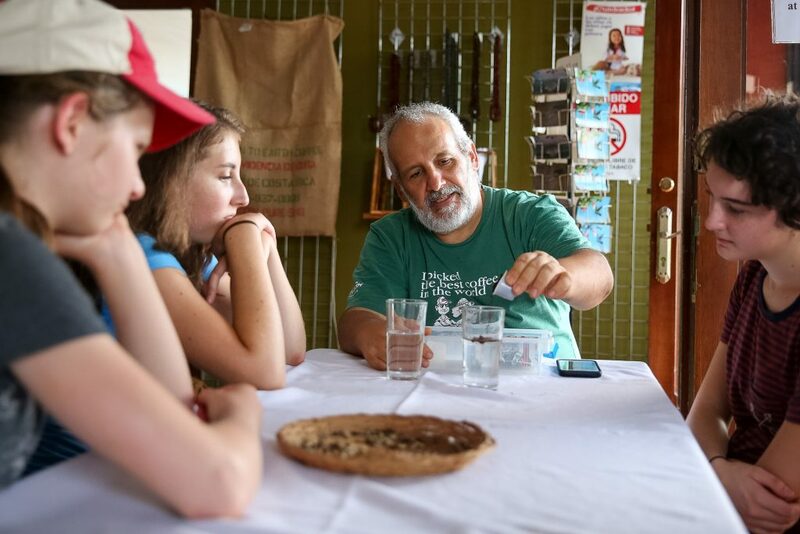 Many Rustic Pathways Costa Rica alumni met Matias Zeledon, owner of Down to Earth Coffee in La Fortuna. Matias, who harvests and roasts his own coffee, has partnered with Rustic Pathways for more than a decade, allowing students to participate in a coffee demonstration and delicious tastings during their program. Bravo also features Tanzania, where Rustic Country Director Patrick Ziemnik shares his expertise about fair trade coffee. To find out which other destinations are the perfect places for coffee-loving travelers, pour yourself another cup and read more here. Emily is a Phoenix-area native with a journalism and photography degree from Northern Arizona University. Prior to joining Rustic Pathways in 2015, Emily lived in Tel Aviv as a journalist for Time Out Israel magazine. Her passion for creative writing and travel drives the editorial content she produces for the creative team. During her spare time, you will find her hiking camera-in-hand, eating Mexican food, exploring San Francisco, and writing for Time Out San Francisco online.